These example explanation is based on Eric Dollard’s work, who has almost the only one who replicated Tesla’s work, and also does the teoretical background. I partially unfolded this work, and mixed with my experience. Many researhers, experimenters asked what the hell is going on? 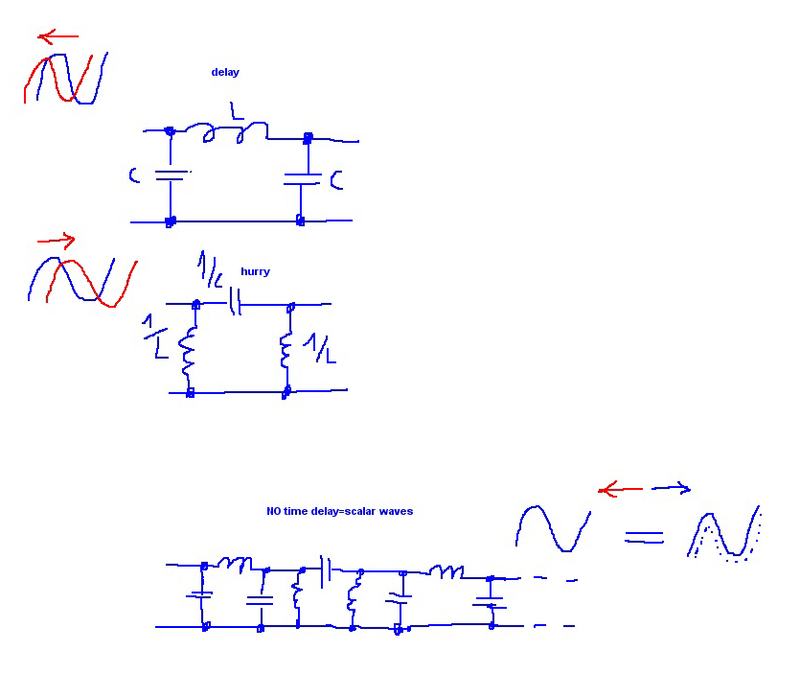 EVERY medium in our world behaves as a capacitance or an inductance and a dielectric constant (as an analogy) the SAME rules in optical, mechanical and electronic world, but of course with a proper analogy. Material structures behaves as a “transmision line” for electromagnetic waves. If you MIX the both method, there’s NO time delay in the transmission line, so the energy goes immediately = that’s the scalar…. It behaves as a water pipe filled with water, and the pressure spreads immediately. That was Tesla’s basic method… Proper making of longitudinal pulses is an another issue… That was Tesla’s most difficult technical problem, the switching.